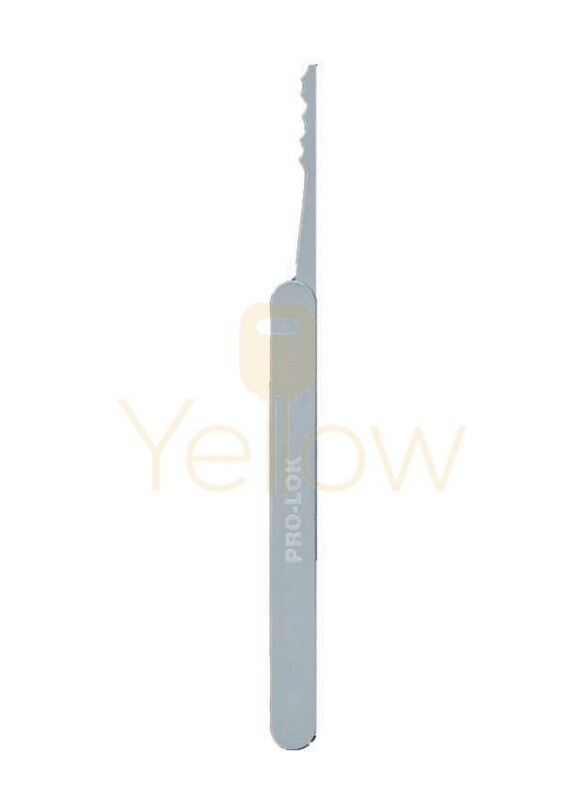 The Large Comb Pick with Handle is a superior quality lock picking tool manufactured of tempered stainless steel; deburred and burnished to a soft luster. Our picks are rust proof with smooth rivetless construction making them the strongest most durable picks available. This is the most basic lock picking tool a professional might need if the lock is to be picked in the traditional sense rather than opened by raking or using a pick gun.